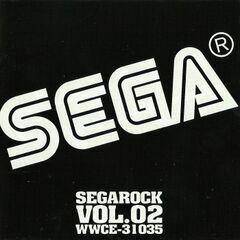 SegaRock Vol. 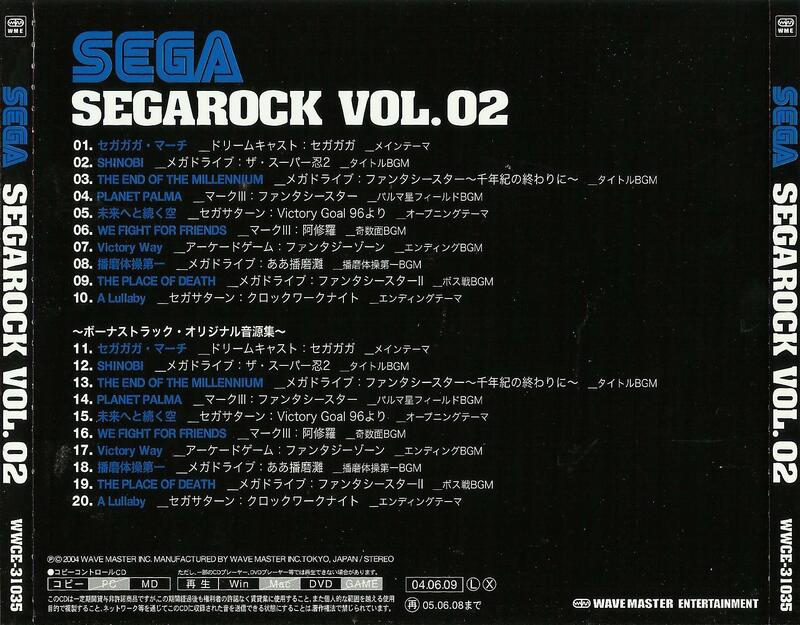 02 is an album containing music from a variety of Sega games, including Segagaga, The Super Shinobi II, Phantasy Star IV, Phantasy Star, Victory Goal '96, Ashura, Fantasy Zone, Aa Harimanada, Phantasy Star II and Clockwork Knight. The first half of the album was also made available as a digital download on Amazon (Japan only) and iTunes, with individual tracks costing ¥150, US$0.99, £0.79 or €0.99.